(Source: FoxNews) A computer game retailer revealed that it legally owns the souls of thousands of online shoppers, thanks to a clause in the terms and conditions agreed to by online shoppers. The retailer, British firm GameStation, added the “immortal soul clause” to the contract signed before making any online purchases earlier this month. It states that customers grant the company the right to claim their soul. (Source: Variety.com) Another Hollywood name is taking aim at the vidgame world. Oscar-winning visual effects studio Rhythm & Hues Studios is teaming with Japan’s Brosta TV to create new intellectual properties for the global gaming market. One of the first areas the partnership intends to focus on is the mobile game market. The first products are expected to be introduced this spring and will blend eastern and western styles in an attempt to appeal to a global audience. Beyond mobile games, the partnership will also look to expand into books, graphic novels and — eventually — film and TV. (Source: gamasutra.com) In 2008, Darrell Rodriguez left his job as EALA’s COO and moved to the San Francisco Bay Area to become the president of LucasArts. Since that time, there have been a lot of ups and downs at the company — the cancellation of the overhyped next-gen Indiana Jones game; the success of Star Wars: The Force Unleashed; the rise of Lego-ization; the revival of Monkey Island under its original roof; and the quiet resumption of original IP development at the studio with the Xbox Live Arcade title Lucidity. (Source: IGN UK) The man behind the Lord of the Rings is apparently spending all his time playing Modern Warfare II these days, rather than watching movies. Sam Raimi’s Next Project Is The Warcraft Movie? (Source: wow.com) According to Ain’t It Cool News, Sam Raimi’s next project will be the Warcraftmovie. This follows on yesterday’s announcement that Spider-Man 4 is canceled, and that Raimi is done with the Spider-Man franchise. The Spider-Man movie series is going to undergo a reboot (yes, already) with entirely new cast and crew, which means Raimi is free to work on other projects. If AICN’s sources are correct and Raimi is going to be working on the Warcraft movie next, this is great news for the movie. While it is probably still a few years away from release, the fact that he’s focusing on it now is a good indication the project is moving forward in the right direction. AICN points out that with the success of Avatar the time is ripe for creating immersive virtual worlds, and you’d be hard pressed to find a more immersive world than Warcraft. Although lets all hope that the Warcraft movie doesn’t become a cheap rip off of Avatar — but with Raimi at the helm it’s likely in safe hands. (Source: gamesindustry.biz) The Chancellor of the Exchequer, Alistair Darling, is set to reject calls from the videogames industry in the UK for tax breaks, according to a report in The Guardian. The games industry, which contributes more to the economy than the government-aided film industry, is likely to be again passed over as requests for parity with the movie business are ignored. The UK national debt currently stands at over GBP 800 billion (USD 1.3 trillion), with borrowing this year likely to nudge GBP 175 billion (USD 285 billion), and some industry insiders have previously expressed their doubt to GamesIndustry.biz that against such a backdrop the government would be willing to extend state aid plans. (Source: news.cnet.com) EA shut down Pandemic as a separate unit on Tuesday, laying off 200 employees, according to published reports, but moving a small core team to EA’s Los Angeles headquarters. Those exiting include Pandemic’s two founders, Andrew Goldman and Josh Resnick. An Electronic Arts spokesperson confirmed the news to CNET, but called it a consolidation rather than a closing, saying that the company merged Pandemic with EA’s nearby LA campus. The core team of developers integrated into EA will continue to work on Pandemic properties. An internal memo by EA Games Label Senior Vice President Nick Earl also confirmed the closing, as reported by the Web site Kotaku. (Source: TheAppleBlog.com) If you are or ever have been the board gaming type, you may have run across Settlers of Catan, or at least heard of it from a fanatic friend. The game, which is a bit like Risk but without the war (at least in its basic incarnation), is all about resource gathering, trading, and colonization. Fans of the series (and there are many) will be pleased to know that Settlers is now playable on your iPhone thanks to Catan ($4.99, iTunes link), an app that faithfully recreates the experience on your mobile device. If you aren’t yet a fan, Catan for your iPhone or iPod touch might just be the thing that converts you. (Source: Engadget) We knew they were coming for the holidays, and now Nintendo’s black Wii gear has some prices and a November 16th release date. 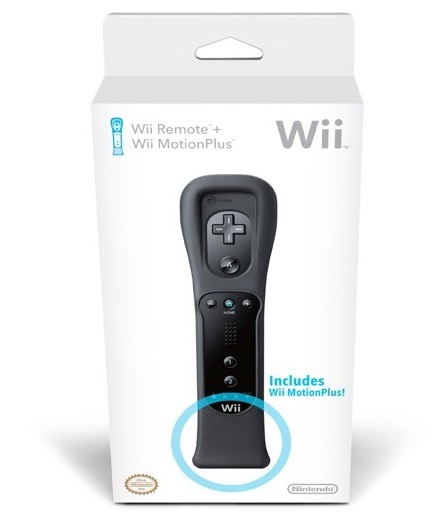 The black Wii Remote comes bundled with a MotionPlus add-on — obviously Nintendo doesn’t want to risk too many more people picking up a controller without one — and retails for $50, while the black Nunchuck (shown after the break) is all by its lonesome for $20. Unfortunately, still no word of a black Wii in the US to hang out with these finely tinted accessories. It’s true – as leaked earlier this week and confirmed yesterday, EA is bringing Harmonix’s Rock Band to the iPhone, and it’s about what you’d expect: notes come down the screen set to popular music, you tap in certain places in time to the beat, and get a score based on how well you do. Truthfully, I’m a huge Rock Band (and Harmonix) fan in general, but this doesn’t excite me much — the big draw of Rock Band is actually playing with those instruments, and while yes they’re plastic and tiny, when you get four people in the same room together playing them, it actually feels like you’re jamming in a band. Fortunately, the iPhone version will have both online and bluetooth multiplayer, so you will be able to jam with people, but the gameplay is simply reminiscent of Tap Tap Revenge, which you probably already know about and/or have. It looks like they’ve gotten most of their songs from the actual Rock Band game; twenty songs with the purchase (no price yet), and then there will be 99 cent packs of two songs each coming out soon. The app’s been submitted and it should be out in the store next week.